Nowadays almost everyone can't do without a mobile phone, communication, work and so on. 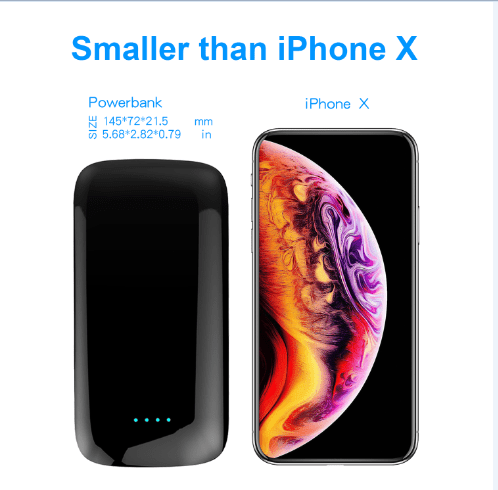 It is very important to choose a good super power bank because the mobile phone is out of power when you go out. Today what I want to introduce is Heloideo super power bank, Heloideo super power bank is an 18W two-way fast charging power bank. 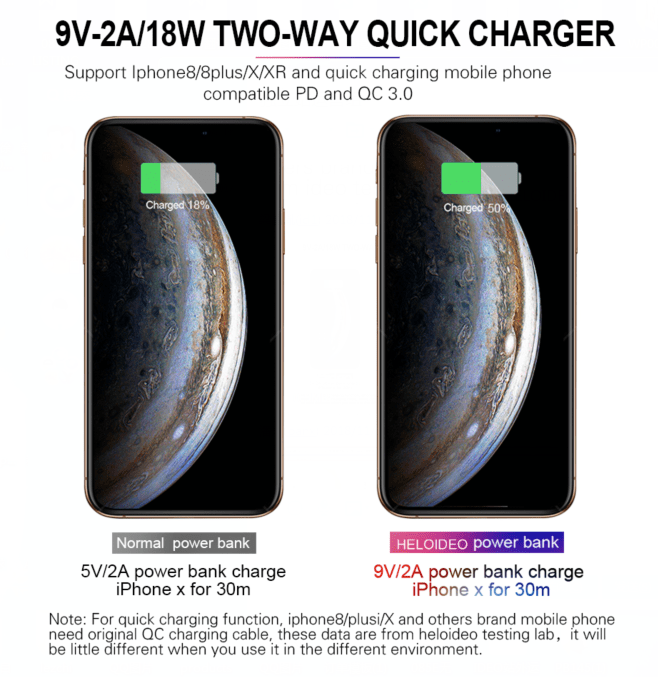 It supports the iPhone 8/8Plus/X and mainstream phones with fast charging protocol. It is compatible with PD/QC3.0 fast charging protocol. 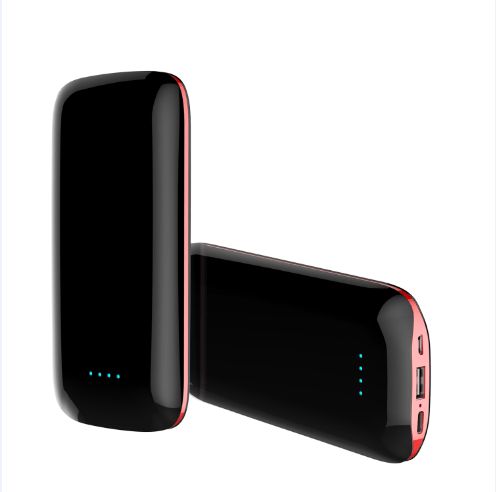 The output voltage of heloideo super power bank is 9V, the current of 2A is nearly twice faster than other ordinary power banks, and the input power of 18W is more effective to reduce the charging time of mobile power supply. Heloideo power bank has a huge capacity of 10,000 mAh. It can supply power to mobile phones many times. It can support two mobile phones to charge at the same time. It is more compact and delicate in appearance, light and slim. It fully embodies the concise and beautiful design concept, nine-fold protection, more reasonable and effective to ensure the safety of product use, and is deeply received by customers. Family love.